If there is one thing that is noticeable in today’s game, it is the strange offensive production. Many analysts have written about how dingers and whiffs are up. We live in an era in which Moneyball theory is nothing new and every team uses its principles to one degree or another. While most fans are looking at stats like OPS and WAR one of the basic ones is getting overlooked. Does anyone today still care about batting average? When comparing Omar Minaya and Sandy Alderson, it is very much like night and day in many ways. Minaya was more of a traditionalist when it came to making teams and Alderson was a data driven guy. While each side had its advantages and disadvantages, the Mets batting averages declined noticeably in the Alderson age. Wright, Reyes and Murphy are the only Mets to bat over .300 in the Alderson era. Consider the following. When Omar Minaya was GM, there were twelve occurrences when a hitter batted over .300 in at least 300 at bats. Wright did so every year from 2005-2009. Lo Duca, Reyes, Chavez, Alou, Castillo, Beltran and Pagan each did so once. With Alderson in charge this happened only four times. 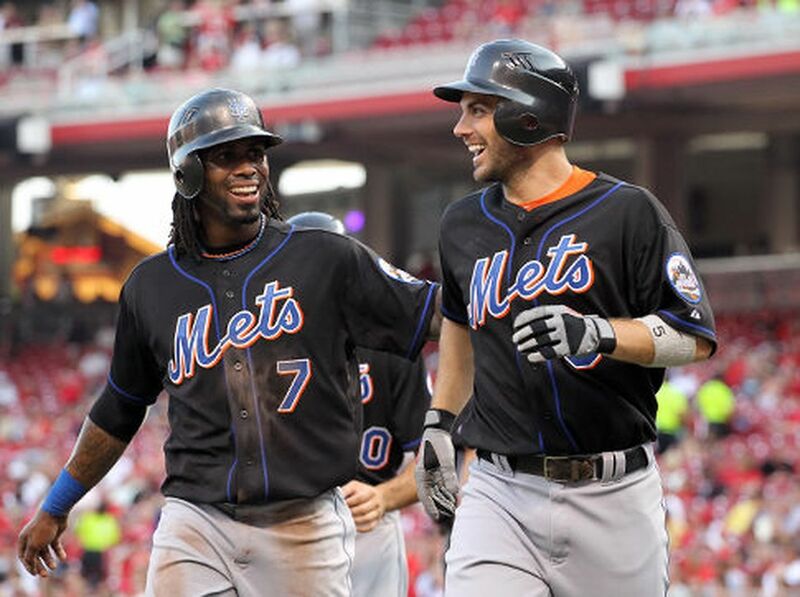 In 2011 Murphy and Reyes each hit over .300, and Wright added another two in 2012 and 2013. What is most shocking is that no Met has hit over .300 in over half a decade, and all players who did so were leftovers from the Minaya era. How common is this kind of drought? The answer is that this is rather uncommon. The teams that haven’t had a guy hit .300 over a longer period are the Cubs (but that could end this year), Rays and Padres. In Alderson’s defense, hitting for a high average was on the decline throughout his tenure. Following the 1994 strike hitting over .300 was common. During the steroid era, not only were home runs on the rise, but so were batting averages. Alderson took over when PED enforcement was in effect. Add in the fact that sabermetric analysis was pushing on base percentage over batting average, and throughout the league fewer players were hitting the once coveted .300 mark. In fact, in 2014, a mere 17 players reached that plateau. While in the last couple of years, more guys are doing it again, the data shows this remains quite uncommon. While batting .300 is a far less frequent occurrence, the Mets were never the less at the lower end of the totem pole. If you look at players who qualified for the batting title, the Mets have only had two players to reach the .300 mark. This is not something to be proud of. What is most shocking is that the year the Mets had their best relative offensive numbers was in 2011. This team was largely the Minaya leftovers. Even when the Mets made the postseason in 2015 and 2016, it was not due to great offensive production. The Mets are suffering from another problem. The team has gotten boring over the last few years. Thanks to the team buying into the launch angle philosophy, too many guys are going home run or bust. In 2016 and 2017, the Mets homered 218 and 224 blasts respectively. These two numbers were the most in franchise history. While conventional wisdom would lead you to believe this was good, the chart above shows that the Mets were not scoring enough runs. The Mets were notorious for not being able to hit with runners in scoring position. This has made them unwatchable. Fans have been noticeably upset about this. It is possible that the Mets have turned a corner. Going into today game, the Mets have been hitting for average as of late. Jeff McNeil has been dominating as a high average hitter and the fans have noticed. Shortly after McNeil was called up, the Mets picked up Austin Jackson, who has had a higher average than the rookie. Prior to today game, in the 29 games since McNeil joined the club, the Mets were 16-13 and have the fifth best record in the NL. True it is not a huge sample size, but the team has improved offensively as they have averaged 5.4 runs per game. That is nothing to snuff at. In August, the Mets have four batters who are hitting over .300 (McNeil, Nimmo, Jackson and Flores). Add in the fact that Rosario is batting .272 and there is room to be hopeful going into 2019. Previous Can Vargas pitch himself off of the Mets?